Advertising sign, color picture of orchids. and thanks for the priviliege (sp) of serving you. 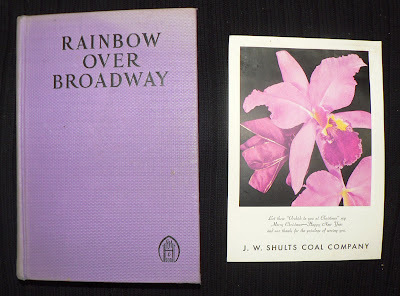 Found in "Rainbow Over Broadway" by Alma Sioux Scarberry. Published by John H. Hopkins, 1936.